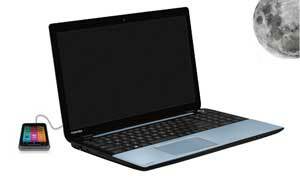 Toshiba S70-A-11H 17.3 inch Business Laptop Core i5-4200M 12GB RAM 1TB Win 8.1. The Satellite S70 series combines exceptional performance with premium features and design including dedicated graphics, premium Onkyo speakers and DTS Sound audio technology. All of this is housed in an ice silver brushed metal slim design. The Satellite S70 features an ultra-premium ice silver brushed metal chassis and a slim design that combines style with functionality. All models feature a large touchpad with chrome detailing; metallic speaker grilles and a tiled keyboard with numeric keypad, ensuring navigation and typing are comfortable as well as providing a standout premium design. The integrated Onkyo stereo speakers are positioned below the screen and combine DTS Sound audio suite to ensure that music or movie soundtracks can be enjoyed at their best. 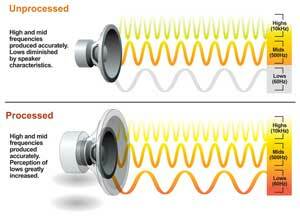 DTS Sound includes a sound enrichment suite that boosts volume, enhances bass and improves definition. Enjoy immersive audio complete with deep, rich bass and crystal clear dialogue. DTS Sound also delivers high-frequency definition for crisp detail in any listening environment, ensuring users a premium and natural entertainment experience whether you are using the laptop speakers or headphones. A 17.3" TruBrite HD display with LED backlighting provides the ideal way to enjoy movies or browse the web. Fast RAM allows smooth multitasking with multiple demanding applications, whilst the large hard drive will store all of your important files and media. And the Intel Core processor delivers visibly smart performance. 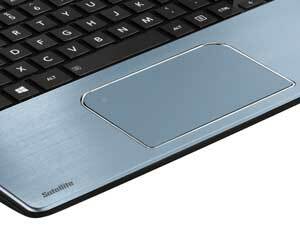 The Satellite S70's large touchpad features integrated mouseclick and multi-touch gesture support, providing an innovative alternative to conventional scrolling and buttons. 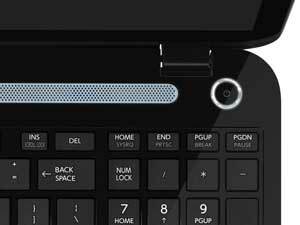 The touchpad features an advanced, touch-sensitive interface solution that senses the position of a finger or fingers on its surface and recognises pinching, swiping, and rotating motions performed by simply moving your fingers. 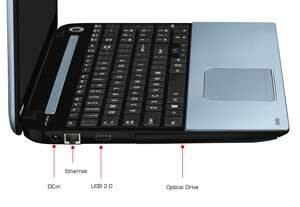 Toshiba laptops feature a full range of connectivity options. Swap pictures and files or expand your storage capabilities using the 2-in-1 card reader, plug into the 2x USB 3.0 or 1x USB 2.0 ports to share content with your other devices. The S70 has a number of connectivity options, and can charge your mobile devices via USB even with the laptop switched off. There's no need to carry around multiple charging accessories when you have your S70. With the Sleep N Charge USB port you can charge your mobile phone, MP3 player and other digital gadgets even while your laptop is switched off. You can charge your gadgets overnight and wake up to a fully-charged battery. 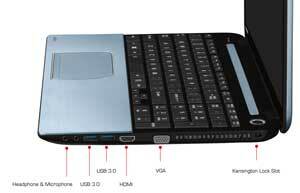 See some of the features of the Toshiba Satellite S70 laptop. The Toshiba Satellite S70 has an integrated HDMI port for added convenience and enhanced usability. You can connect your laptop to an external device and stream high definition content. When using HDMI, audio and visual content are streamed through a single cable, removing the need for multiple connections. Now you only need one cable, making connecting your laptop easier and tidier.